National Village Halls Week at the end of January celebrates the value of village halls to rural communities nationwide. 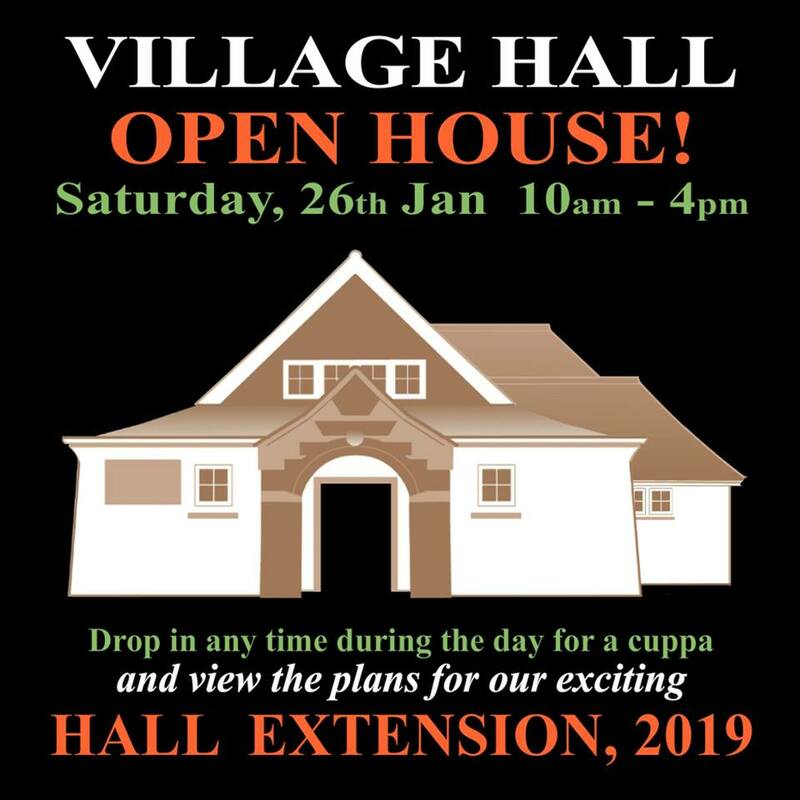 Come and celebrate at our own Village Hall Open House – and see the plans for our exciting Hall extension – work starts early February! Please drop in on our Village Hall Open House on Saturday, 26 January 2019, anytime from 10 am – 4 pm (GU28 9ES). You will be sure of a warm welcome and free refreshments. Have a good look around at all that the Hall has to offer. Check out some of the history and then take a look into the Hall’s future! Plans for the new extension project will be on display.